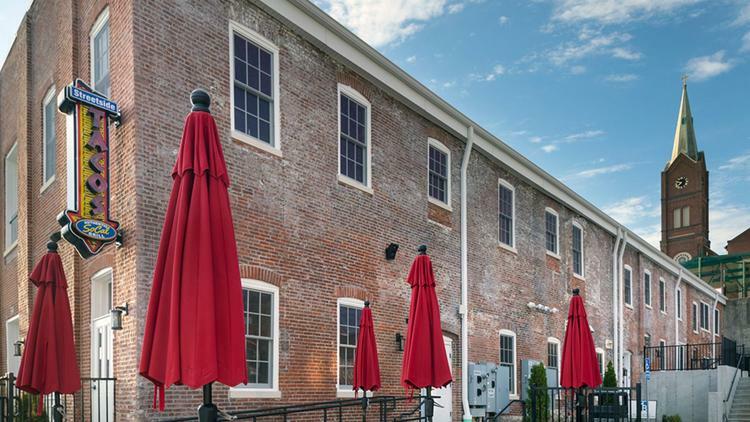 Chesterfield-based Knoebel Construction completed a $3 million historic renovation of the former Langenberg Hat Building in Washington, Missouri. The two-story building, located at 330 W. Front Street, was converted into a multi-use space featuring six, two-bedroom lofts and a sit down restaurant on the first floor. Knoebel served as general contractor, while Marquart Landing Properties was the developer. The Van Hooser Partnership was the architect. The project called for renovation of the facade, structural modifications and new HVAC, electrical and plumbing systems, as well as roofing work, new sidewalks, stairs, parking lot and an elevator. The renovation was funded in part by the city’s Downtown Building Rehabilitation program, officials said. The sit-down restaurant, called Streetside Tacos, occupies a 2,020-square-foot space and has an open kitchen, outdoor patio, vibrant artwork, a salsa and chip bar and views of the Missouri River and Washington riverfront. Two lofts also are located on the first floor, as well as room for future build-out of additional retail and office space. Four additional lofts are located on the second floor. The lofts are between 1,350 and 1,730 square feet and include one-bedroom and one-and-a-half bathrooms. The space features exposed brick walls, hardwood floors, wood beams and tall ceilings. Knoebel Construction is owned and operated by Matthew Mabie. The general contractor had 2017 revenue of $67.9 million, according to Business Journalresearch. The company predicts revenue of $75 million in 2018.